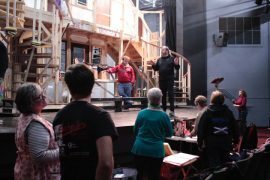 Behind the scenes at Noises Off, a rip-roaring comedy with a killer cast | Rrampt. I’m behind the scenes at a dress rehearsal for Noises Off and it’s hard to tell which side of the stage is actually backstage. There’s a massive construction of a multi-leveled set design complete with two flights of stairs, five doors and a plethora of windows (yes, I just said plethora) that give the audience the illusion that they are in fact backstage at a production of Nothing On, a fictional play within a play. The director, Kevin Haxell, points out the thirty sets of wheels underneath the set construction that allow the design to spin. It’s intricate. It’s very impressive. But then again, so is this whole production. It’s one that Haxell calls “the best farce in the English language” and judging from the cast confession videos, I can tell I’m going to laugh my head off when it launches on November 8. As a big fan of Christopher Guest’s Spinal Tap and Best in Show, Noises Off is my type of humour. 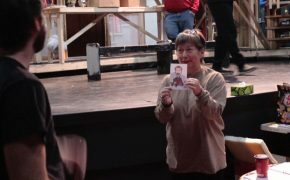 As the cast files in for the rehearsal, I recognize many of them from previous projects: Sue Seguin from The Black Donnelly’s; Cory Laycock from The Portrait; Jed Phillips and Dale Albrecht from Spamalot; Ross Docherty from Ghost Island Light, to name a few. Oh and there’s Connie Rossitter from the musical duo Beckon. This play is much more difficult to direct than Haxell’s previous Ghost Island Light, but therein lies the reward. He wanted to bring Noises Off to The Roxy because it is a challenge. The set is certainly one of these trials, but there’s also the difficulty of doing comedy as opposed to drama. But this time it’s not him falling down the stairs, it’s Docherty who plays Gerry Lajeune. It’s a stunt they’ve yet to try in rehearsal, but Haxell has confidence in him: “he’s fearless in terms of his physical comedy” he says. But he also recognizes that if he gets injured during these stunt rehearsals, they’re quite f—ed, pardon my french. So with all this talk of the characters, let’s hear from them. Click on their image below to see their cast confession video that’ll give you a little of the comedic flavour of this show. You’ll get a sense of what you’re in for, and if you’re in attendance on November 8, and you hear an obnoxiously loud idiot laughing his head off, it’s just me. Sorry, but this kind of stuff cracks me up. 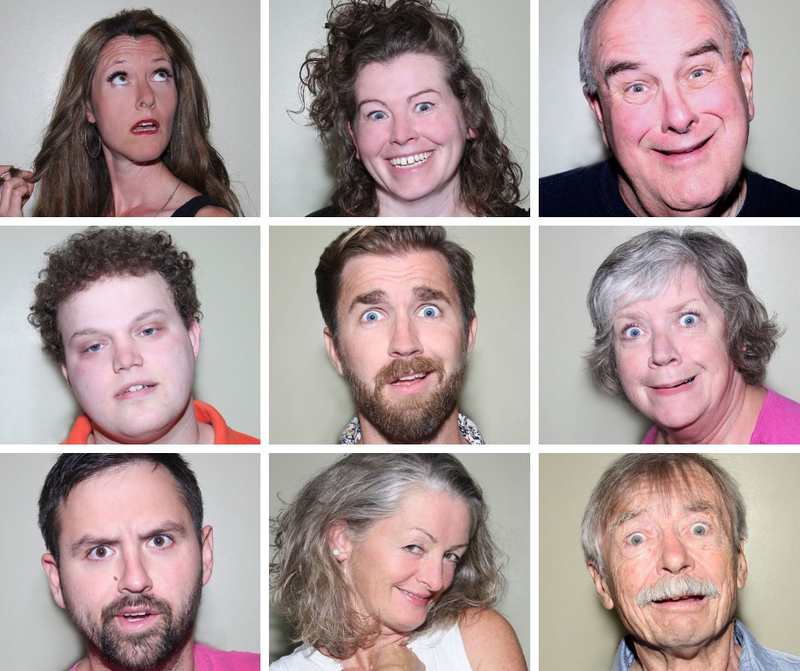 Noises Off runs from November 8 – 24 and tickets can be found at The Roxy Theatre.